Dr. Irwin J. 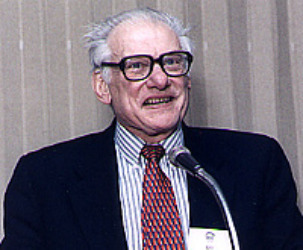 "Irv" Kopin was the chief of NINDS's Clinical Neuroscience Branch. He began his NIH career as research assistant in the Laboratory of Clinical Science at NIMH in 1957. Over the next 10 years, he published more than 85 peer-reviewed manuscripts, dealing largely with the disposition and metabolism of catecholamines. After a brief period in New York, he returned to NIMH, where he headed the Laboratory of Clinical Science with distinction until 1983. He was then appointed NINDS scientific director, a post he held for more than a decade. Subsequently he headed the Clinical Neuroscience Branch for several years. To date, he has authored or coauthored more than 700 articles, reviews and book chapters that together constitute a major part of current scientific knowledge about catecholamines.